Red Bull. Monster. Rockstar. 5-Hour Energy. You know all these names, and probably many more. For some of us, they are our morning pick-me-up. Or afternoon and evening pick-me-up-off-the-floor. They have become as ordinary as a bottle of soda in a convenience store cold case, and are a large part of our everyday lives. 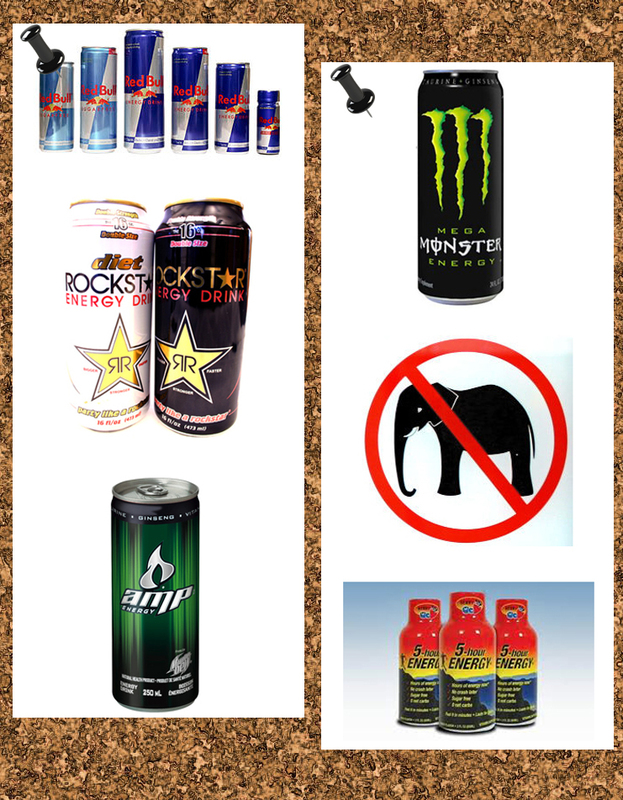 I was never much of an energy drink consumer, usually relying on my morning coffee to do the trick, but sometimes energy needs are the mother of experiments, and when I was moving back to Florida from Arkansas, I found myself getting dangerously tired around 1 o’clock in the morning in the middle of my drive. I wasn’t even out of Mississippi at that point! I stopped at an all-night gas station and got two bottles of 5-Hour Energy, specifically because it states there is no crash when it wears off. I downed my first bottle and almost immediately got a rush of energy. I was soon back on the highway, playing loud music and singing ridiculously off-key. I timed my next dose for 5:30 AM, so that I could keep the energy momentum going. I took the next dose, now being almost to the Florida line, and was feeling pretty good. Until I realized I was twitching. And *maybe* hallucinating (there shouldn’t be elephants on the interstate, right?). Pretty much at the same time I saw the pachyderm, I also realized that I hadn’t eaten anything in almost 24 hours. Probably NOT the smartest move I’ve ever made in my life. Needless to say, I stopped somewhere around Two Egg, Florida, still almost 7 hours shy of my destination, and got something to eat and took a two hour nap. And learned a valuable lesson about energy drinks. Now, when I need the extra boost, my energy drink of choice is Monster, and I make sure that I’ve eaten and slept before drinking. Although my original foray into the energy drink world ended badly, I still love the boost of energy that you get from them. And I haven’t seen any other elephants on the interstate, which is a plus in my mind.